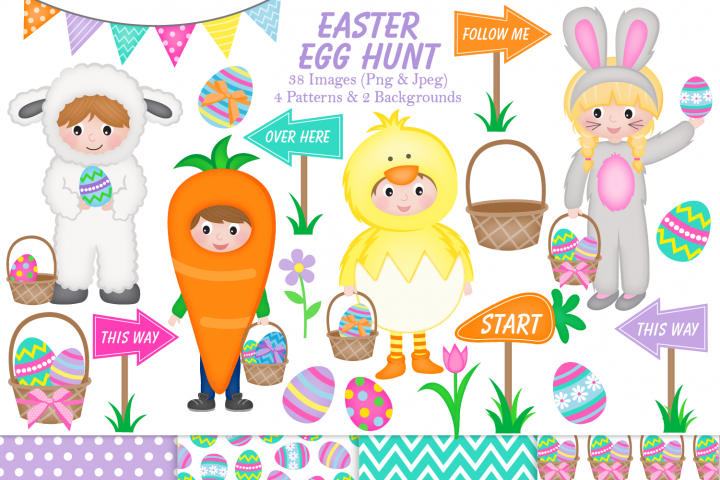 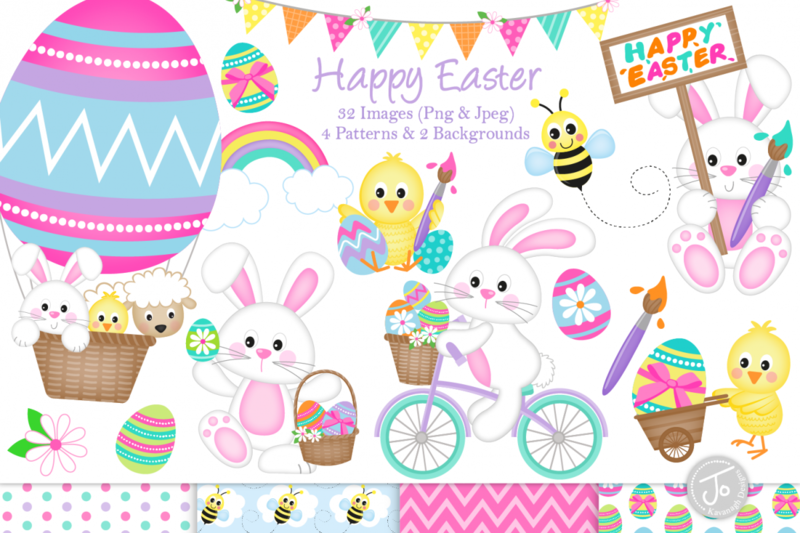 This cute Easter bunny graphics & illustrations set is perfect for all your crafts and projects. 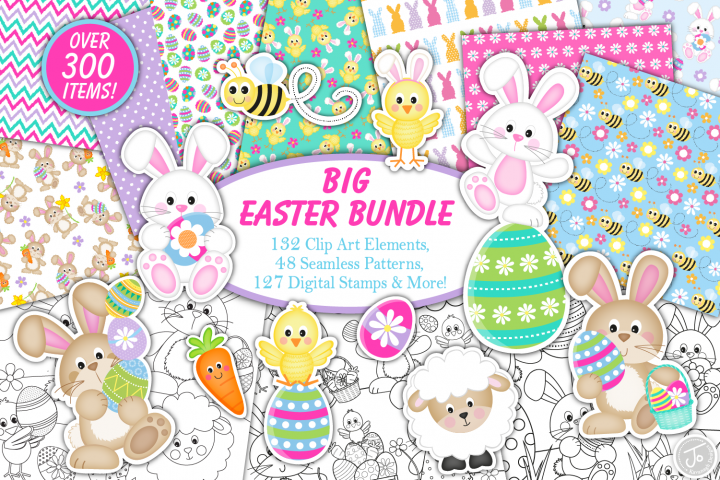 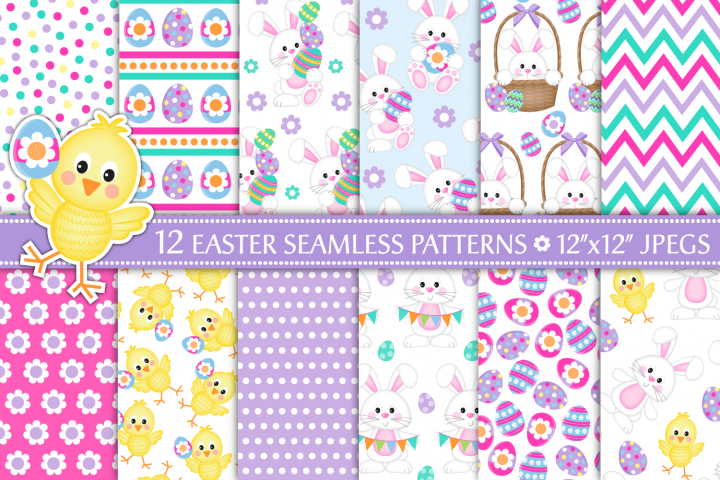 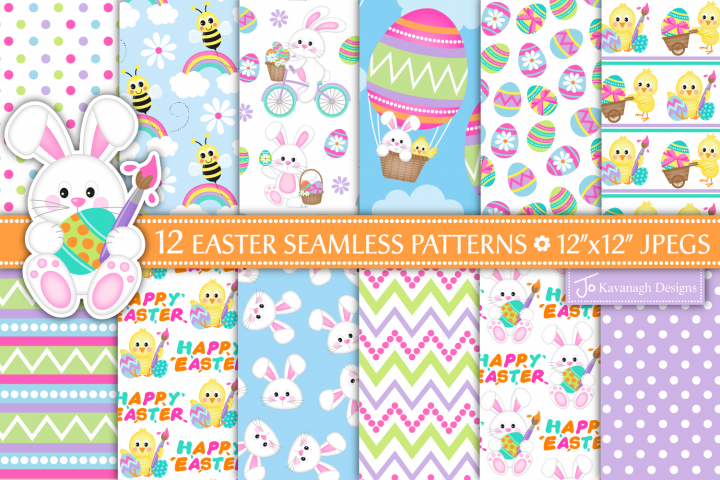 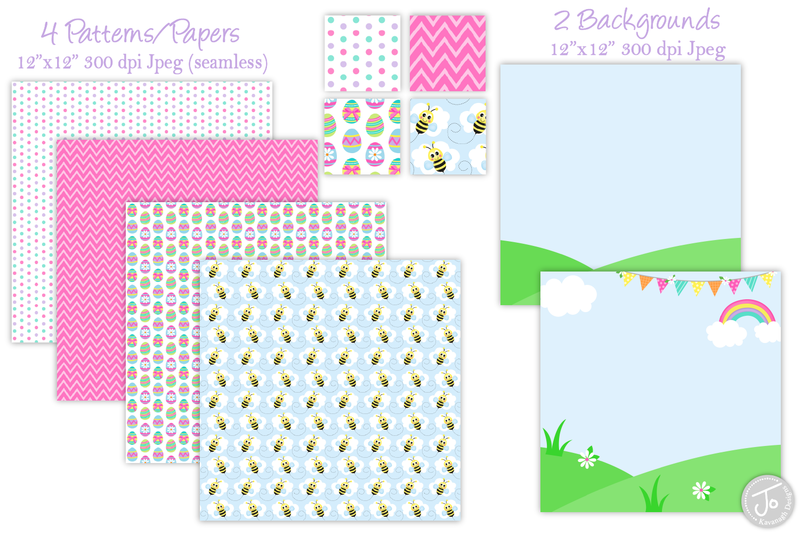 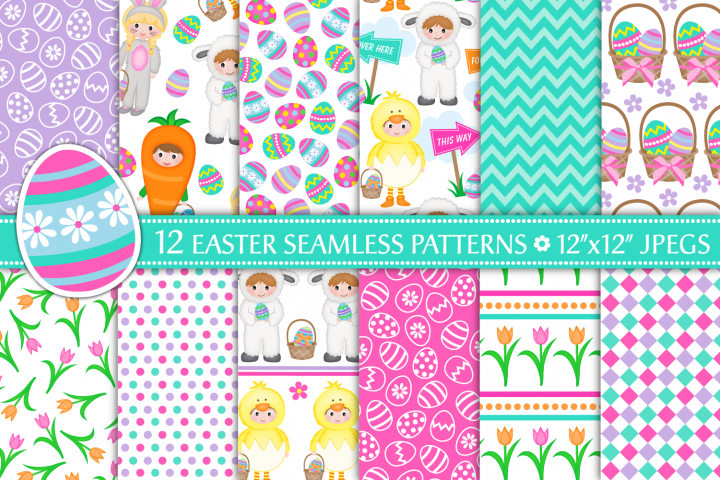 This set contains 32 elements - lots of adorable bunnies, cute chicks, easter eggs, 4 seamless patterns & more! 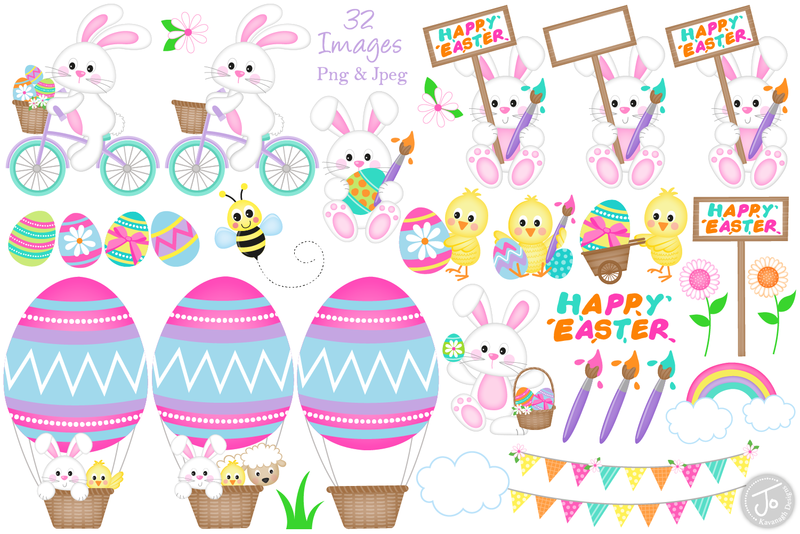 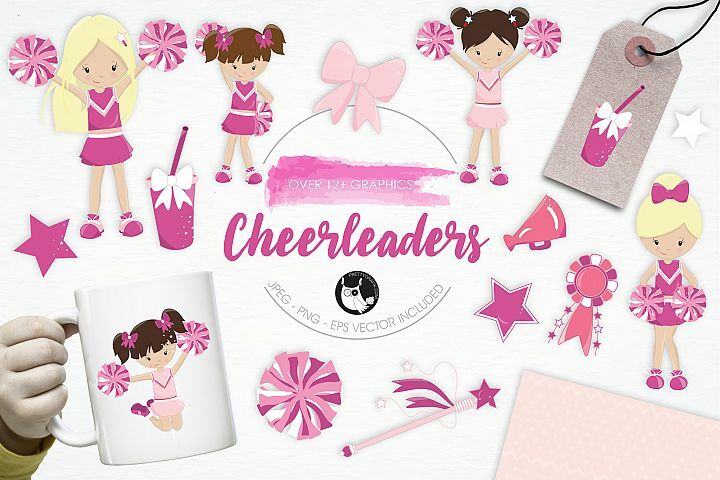 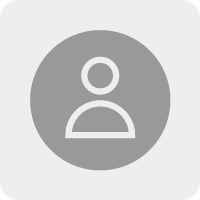 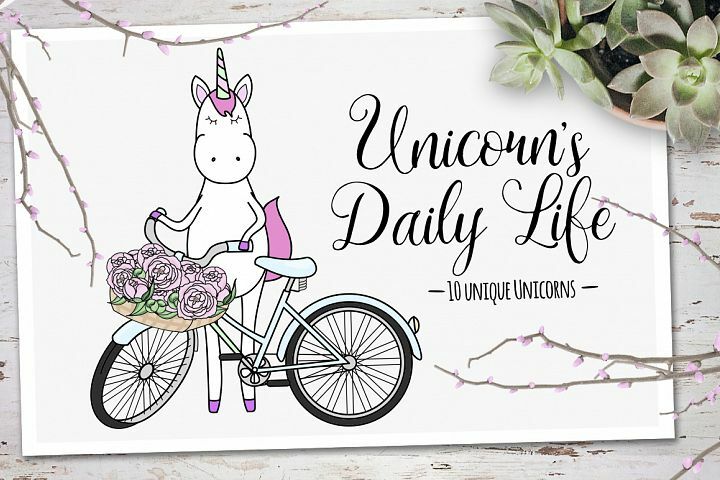 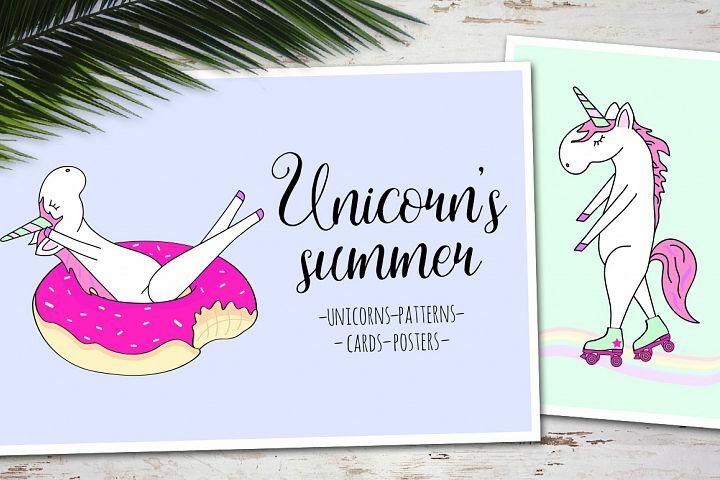 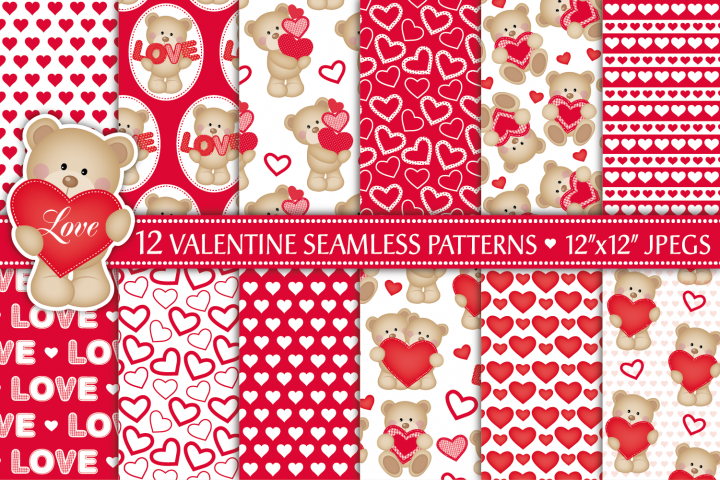 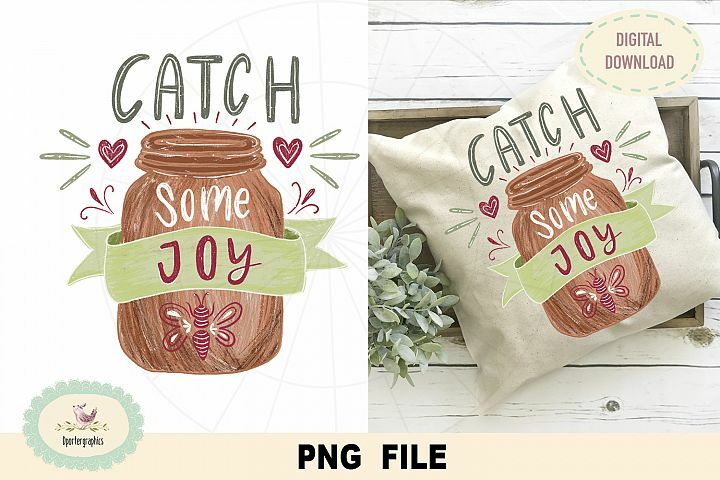 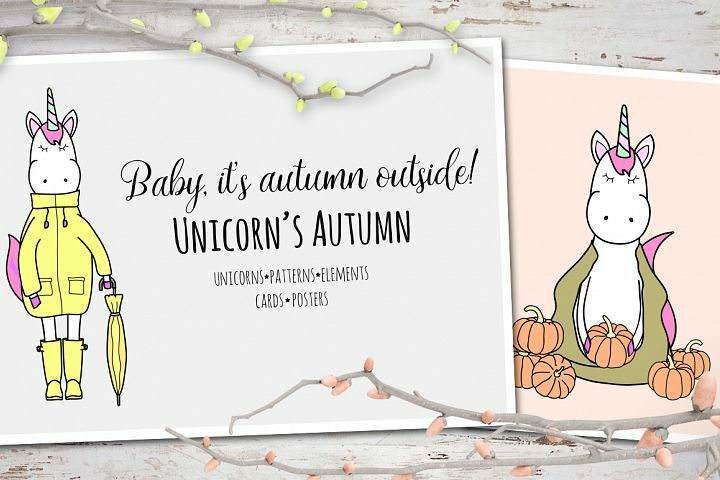 Use the images for greeting cards, embroidery, cupcake toppers, easter crafts, graphic design projects, scrapbooking and much more!